​On the scorching afternoons of summer and the frigid nights of the winter, the multi-pane, gas-filled windows make the home a more comfortable place by eliminating drafts and providing insulation. Due to gas-filled windows' excellent energy efficiency, one of the best choices for the modern homeowner is a gas-filled window. Between today's continual improvements in home design technology and rising energy costs, the older single-pane windows are nearly obsolete. Gas-filled windows, also commonly known as argon windows, or argon fills, have been around for a long time, but have recently grown more popular among homeowners who would like more energy-efficient windows. Many modern windows are now built with double or triple-pane glass filled with argon or other gases. So What are Argon Windows and Other Gas-Filled Windows? Argon windows essentially work like a sealed sandwich. 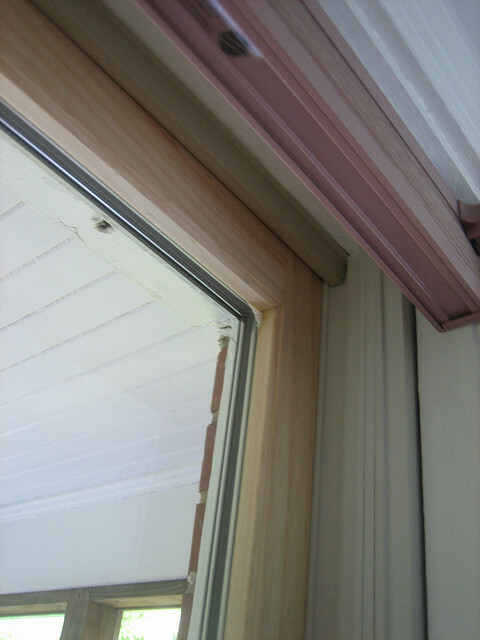 Two pieces of glass are separated by a spacer bar, leaving an insulated airspace between the glass panes. Since argon gas is denser than the atmosphere, argon has excellent thermal properties, and argon windows are a common type of gas-filled window. Argon gas is odorless, colorless, and nonreactive— and naturally makes up two percent of the Earth's atmosphere. In the rare case that your argon windows spring a leak, this type of gas will not be a hazard to your home's residents or to the environment. Other gases commonly used in gas-filled windows include krypton and xenon. A primary benefit of gas-filled windows is that they naturally make your home's temperatures more comfortable. However, argon windows do not block ultraviolet light from the sun. This is why many argon windows also incorporate low-E glass, which is a low-emissivity coating applied to glass panes that will help protect your rooms and furniture from UV rays. A gas-filled window paired with this additional low-E coating will also further work to minimize drafts and regulate your home's temperatures. Prices for gas-filled windows such as argon windows will vary, based on the size and style of the window, frame materials, glazing options, and the manufacturer. Many manufacturers offer a package deal that includes argon windows with low-E coatings for the glass. To find out how much your argon windows will cost, it's best to consult directly with your contractor or windows manufacturer. Gas-filled windows insulate the home, working year-round to protect the interior from outside temperatures. Argon windows' typically raise a window's R-value by half a point to a full point. Typical argon windows have double-pane glass with an airspace between 1/2" and 1", which will keep your home insulated and save you money on energy bills. Argon windows paired with low-E glass will lower your energy bills even more. Gas-filled windows minimize the heat transfer from the outside into your home, boosting your home's overall energy efficiency. Homeowners should know that gas-filled windows such as argon windows require precise installation, in order to ensure that these windows have a tight seal. Take the time to make sure that your contractor has experience installing gas-filled windows beforehand. To find a quality contractor with the proper experience, use HomeAdvancement's database of local contractors.